Cruising the Waters of Eastern Long Island Sound and Beyond! The CCNE promotes the sport of yachting, good fellowship and the cruising of the New England waters. CCNE has been actively operating and cruising since 1984. We have close to 100 members. Most are from Connecticut, but we have members in Pennsylvania, New York, Massachusetts, Rhode Island, Vermont and even one in Canada! Our fleet consists of sailboats and powerboats of many makes and models, ranging from an O'Day 26 to an Island Packet 465. We are all in it for the joy of cruising, great times, and good friendships. If you like to cruise with others and would like more information on CCNE click on the INFO button below! In August, CCNE sponsors a one-week cruise. The destination typically rotates on a 3-year basis between Long Island Sound, Narragansett Bay (including Newport), and Buzzards Bay (including Marthas Vineyard). This year we will sail the waters of Western Long Island Sound. Click on the ANNUAL CRUISE tab to learn more! Click on the EVENTS tab in the menu bar to learn more about what's happening! Our volunteer Board of Governors helps the club navigate throughout the year. 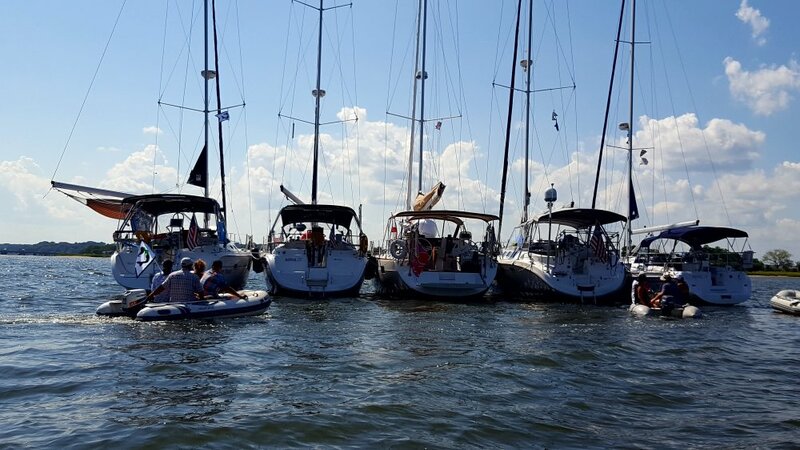 To view the Club By-Laws, Rules and Regulations, or the Block Island Club Mooring Rules, please click on the GOVERNANCE tab.